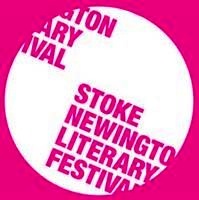 KNOWING GLANCES were exchanged when Will Self took his bike seat on stage with him after he cycled up to Stoke Newington Assembly Hall to speak at the annual literary festival. Wise old locals knew the writer’s caution made sense, even if the area had improved since the days of street robbery, drug-dealing (the police), exiled German terrorists and town-hall Trotskyism – just look at Clissold House, pictured, little more than a pétanque putt from the hall, both restored by Hackney council to their original stylishness. Self’s seat survived. Not so all the pink plaques that festival organisers had posted around Church Street to highlight famous people with links to Stokey… Daniel Defoe, Sid Vicious, Eric Bristow (enough: the sleb level fluctuates a bit after those names). 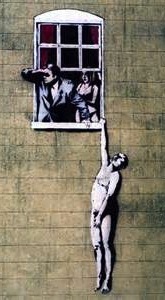 Within hours, reported Patrick Kidd in The Times diary, the plaque for international graffitist Banksy was stolen.